Joann's is having a really decent sale this weekend. They mailed me a coupon for 25% off my entire purchase. Naturally, this had me all in a tizzy. When Boyfriend and I went out for a morning drive, I asked that we make a pit stop there so I could check some stuff out. I needed to get more cute baby-related flannel as well as maybe some soft chenille-y fabric. Plus, I have a plan to make myself a cute skirt and I wanted to get something springy for that. 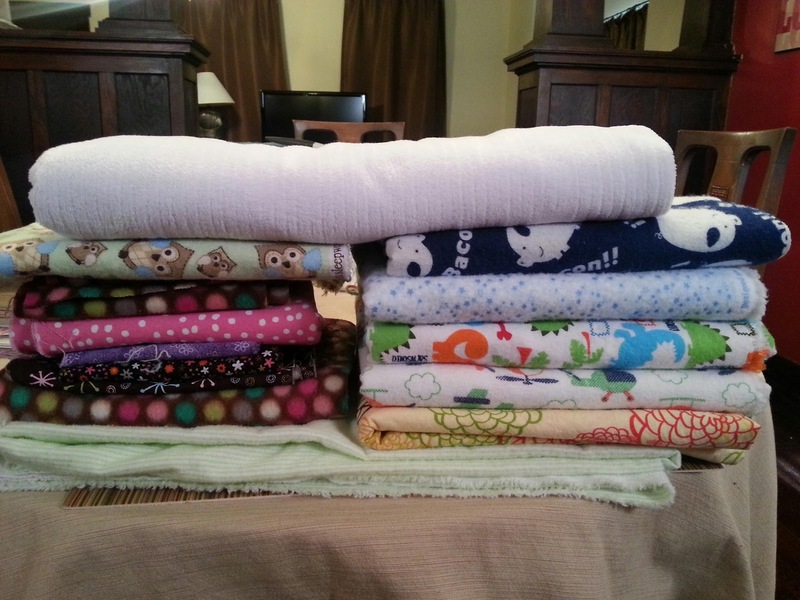 Lucky for me, all of the fabric you see below (this is just my haul from today... I might have a problem) was on sale! And then I had the coupon! It was a steal. Of course, I have not yet done anything in the way of sewing aside from washing all of my new fabric, but I'll get there. Not tonight, though! Boyfriend and I are going out for dinner and a movie! Date night! Yay!! Are Limes The Fashion Now?